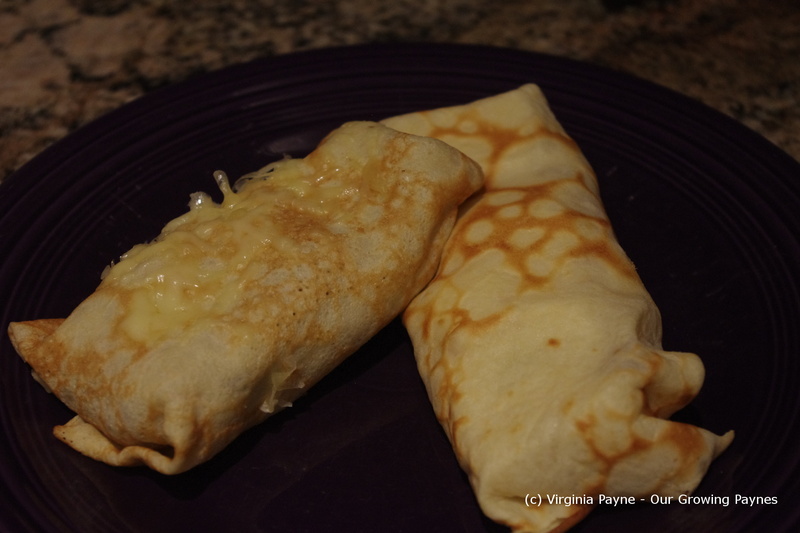 Crêpes are a treat we do once in awhile for dinner. 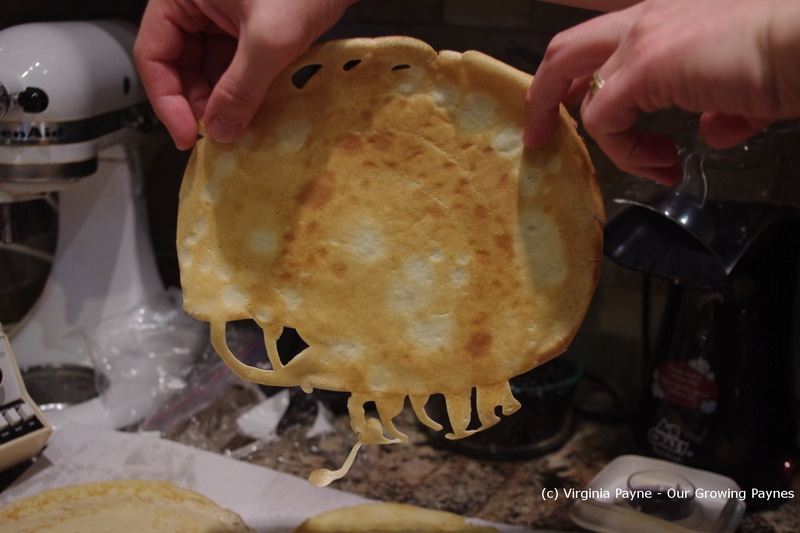 My husband enjoys making them and a few years ago we bought him a crêpe pan. It also gets a lot of use for my eggs so it was a win-win. 🙂 But I’ve always been impressed that he could make these. I was also lulled into a false sense of “how hard can this be?”. So I decided I would give it a go last night. Parts of it are really easy. 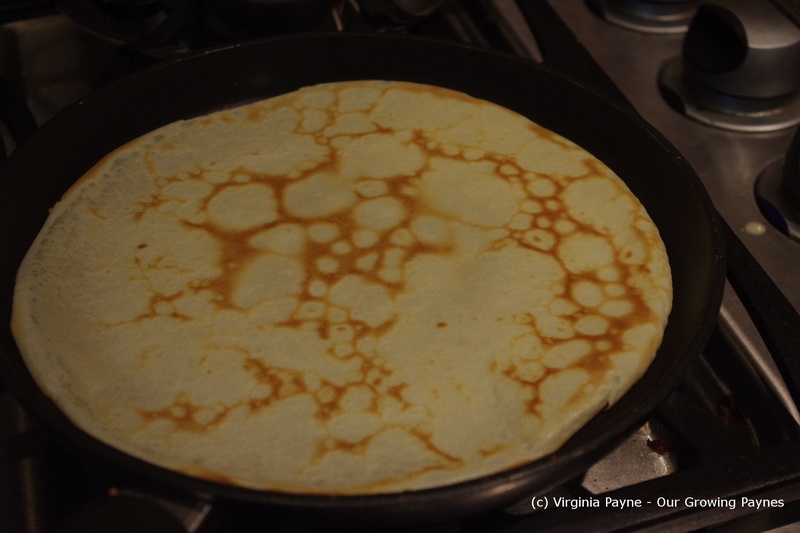 But I quickly learned it takes practice on the actual cooking of the crêpe. Fortunately we only need 4 good ones as it was just the two of us. 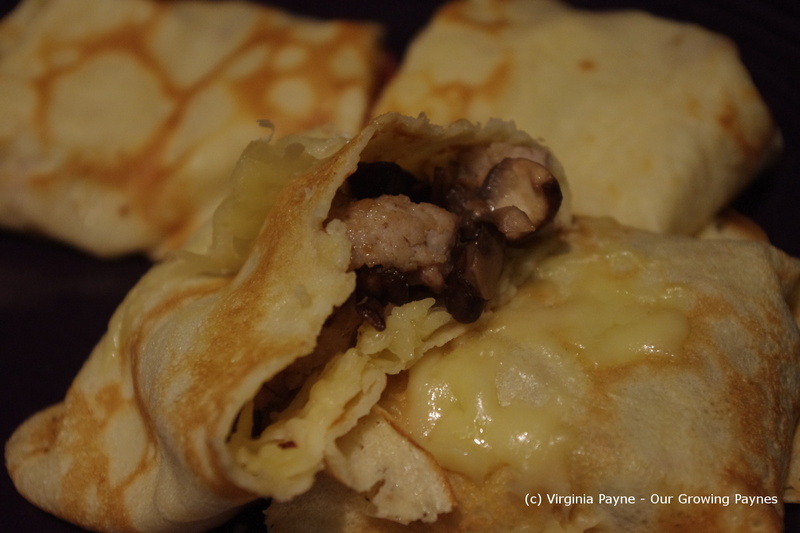 As crêpes are extremely versatile we have fun with sweet and savory. Generally we stuff ours with some sort of filling. I wanted two savory fillings this time round. I bought some rabbit sausages for one filling and chose a lovely apple for the second. The recipe I used for the batter was from the book Crêpes – Sweet and Savory Recipes for the Home Cook by Lou Seibert Pappas. 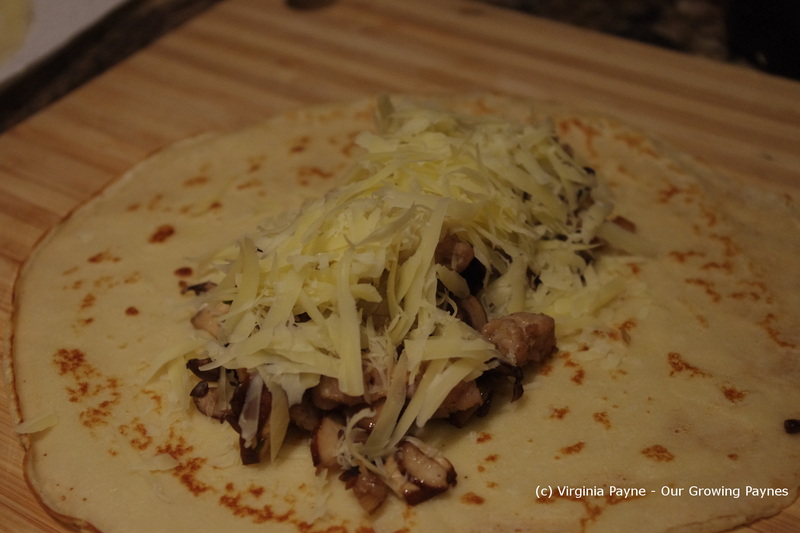 Interesting fact from the book crêpes comes from the Latin word crispus meaning crisp. The batter should be made about 2 hours before the actual cooking and it can be stored in the fridge for up to 24 hours. You can use a blender, a food processor, or a whisk. We use the blender. 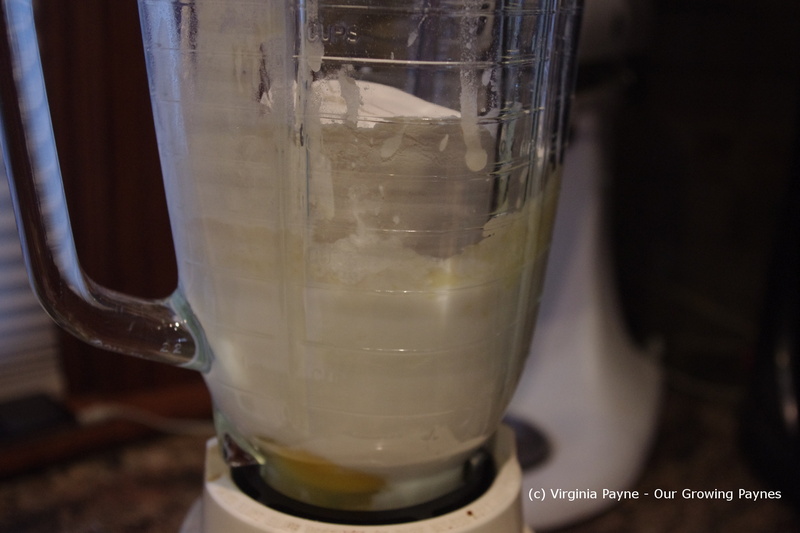 In the blender I place 2 eggs, 1 cup milk, 1/3 cup water, 2 Tablespoons of melted butter, 1/4 tsp of salt, and a cup of flour. Blend for 5 seconds. Take a rubber spatula and scrape the sides then blend for a couple of seconds. That’s it. You don’t want to overwork the batter. Cover and chill for at least 2 hours. For the rabbit filling I chopped up a couple of garlic cloves and some baby portabello mushrooms. 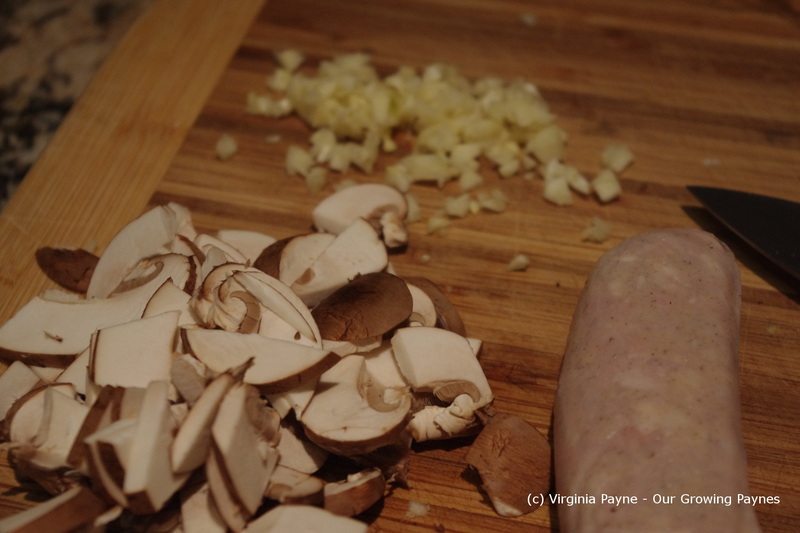 I removed the rabbit sausage from it’s casing and tried to chop it up into small pieces. Wasn’t that easy. 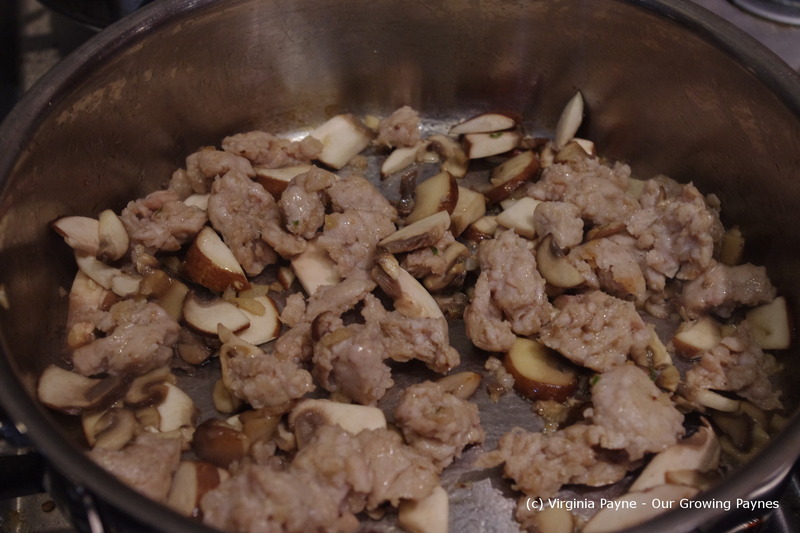 In a skillet with hot olive oil saute the ingredients to brown the rabbit meat. Add a splash of dry sherry and some lemon thyme. Let that simmer to cook through. 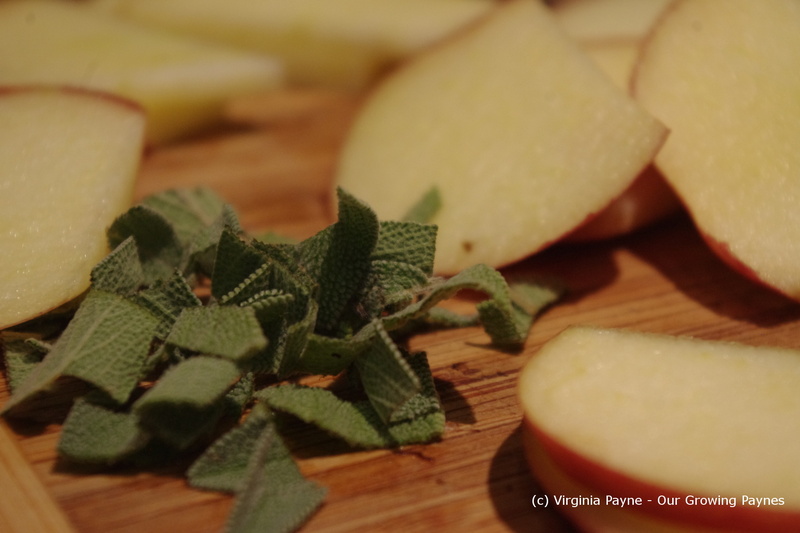 For the next filling I chopped up some sage and apples. 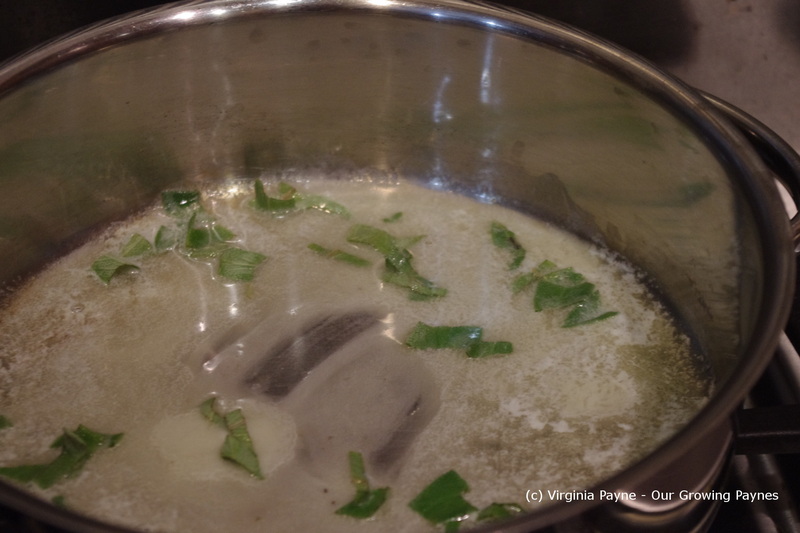 In a small skillet I melted about a tablespoon of butter and sauteed the sage in it for a couple of minutes. 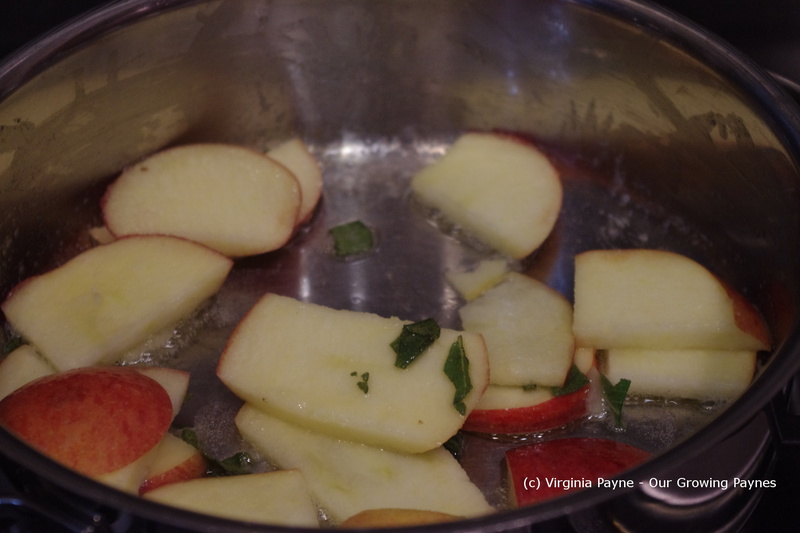 Then I added the apples to cook. 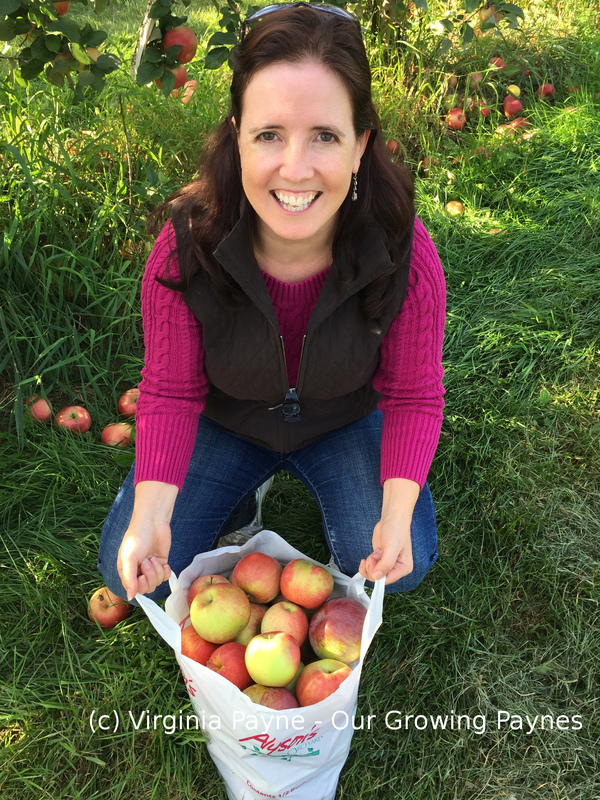 I wanted the apples softened but not mushy. 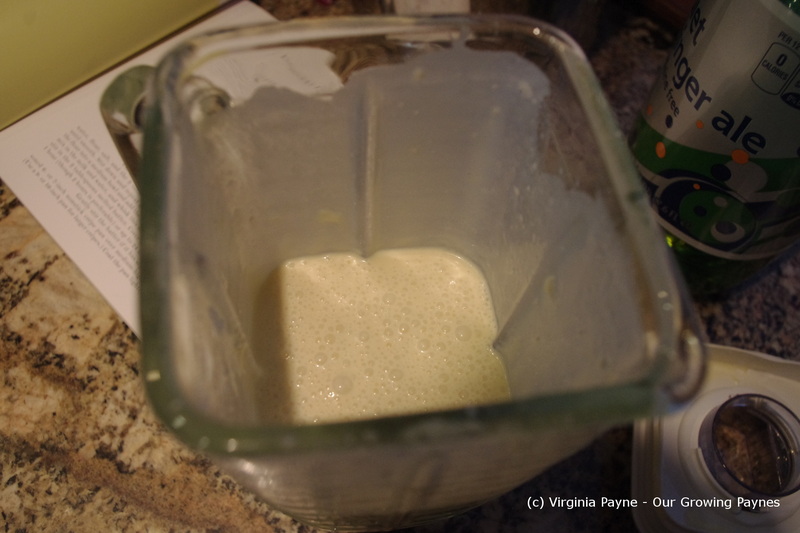 I set aside the fillings and got the batter ready. Heat a dry pan until hot. Here is the first tricky part. You want to rub a bit of butter onto the hot pan. If you do it too much the batter goes all wonky and won’t spread out. Because our pan is about 9″ wide we use 1/4 cup of batter at a time. 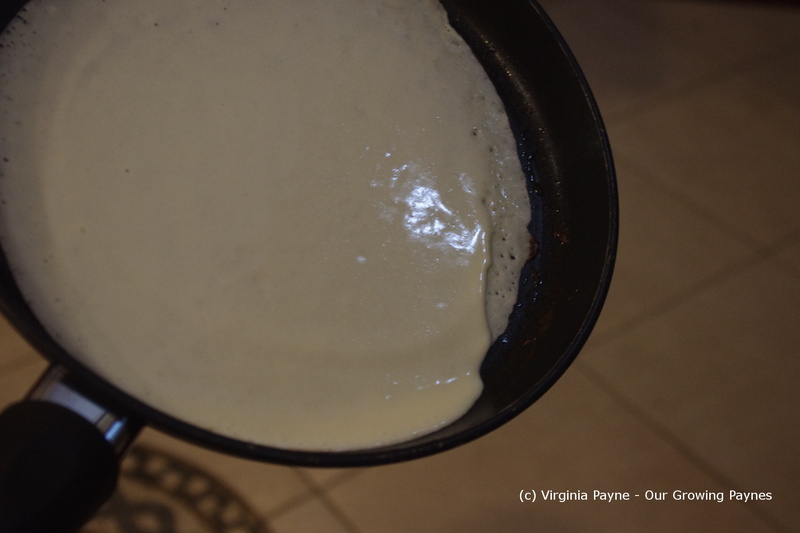 Remove the pan from the heat and then spread the batter around the pan. It needs to be poured in then tilt the pan about until it is coated. 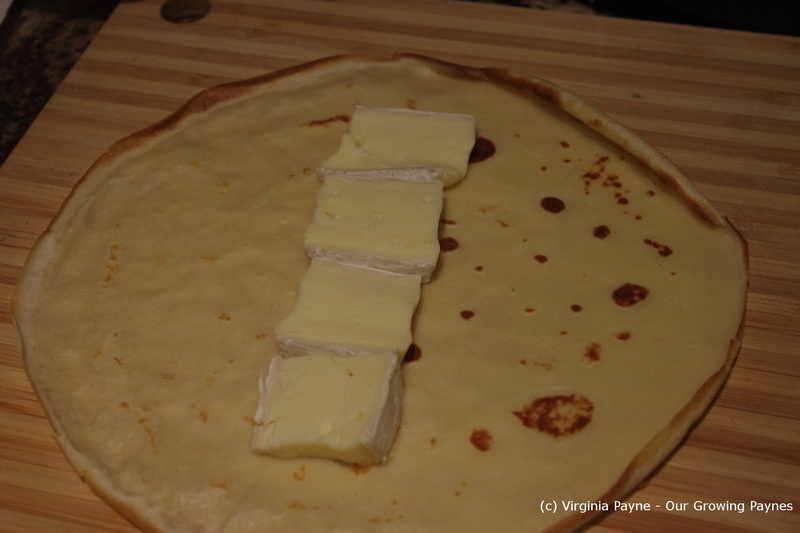 Once the sides start browning and the crêpe can be easily lifted with a spatula flip it over and cook for about 15 seconds to finish off the top side. Remove and place on paper towels to cool off. The next tricky bit I encountered as having a pan too hot. You can end up with a jelly fish shape. Once all the batter has been cooked it is time to stuff them. 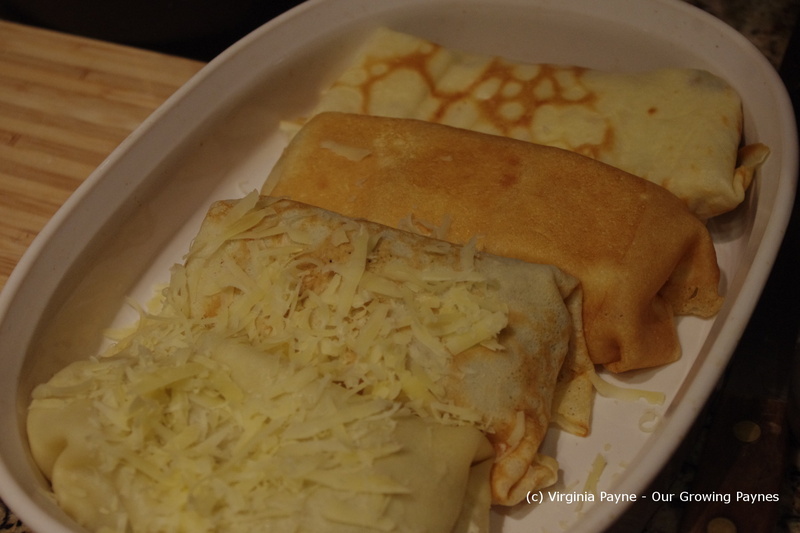 And crêpes not used can easily be frozen for another time. I set the toaster oven to 375F/190C because we need to melt cheese. 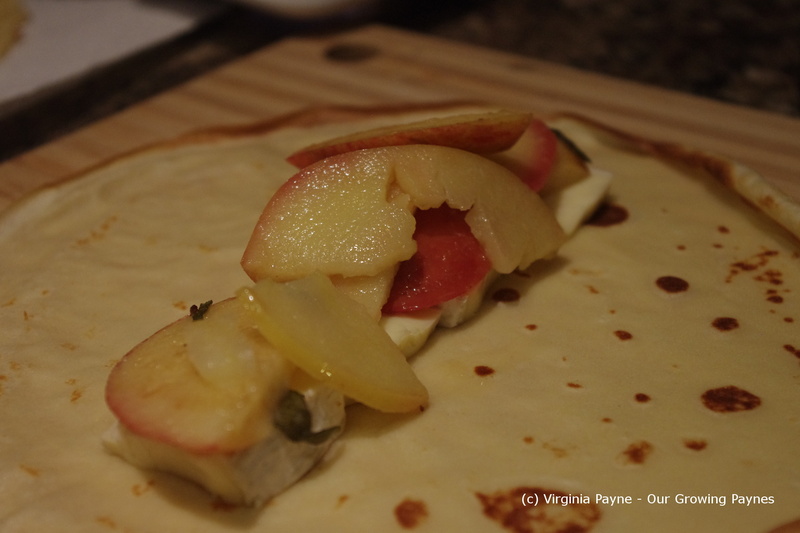 For the apple filling I placed a few slices of brie in the center of the crêpe and topped with the apples. Fold like a burrito and place in the baking pan. I scooped the rabbit filling into the center and topped with freshly shredded Jarlsberg. Bake until the cheese is melted and it is ready to serve. The apple ones came out really blurry so I only have the rabbit ones to show.